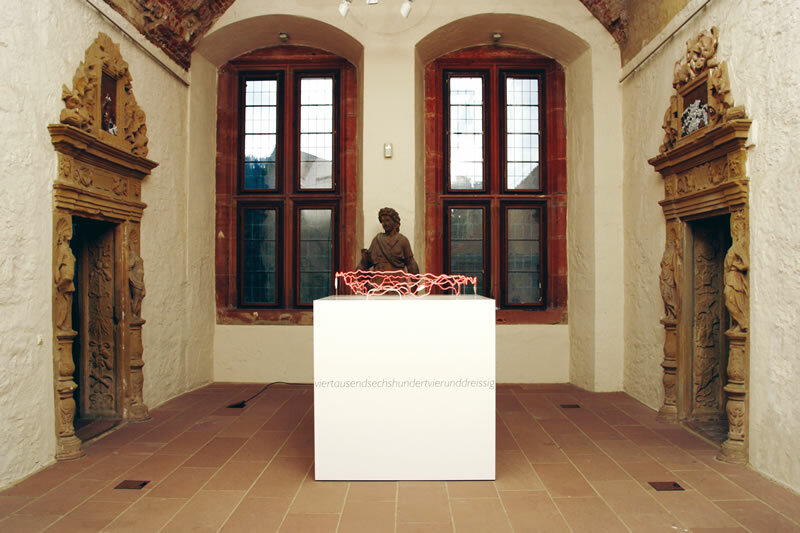 In one of the two smaller spaces at the Elector Ottheinrich's Heidelberg palace, the artist Simon Beer, born in Zurich, presents his spatial installation Locus amoenus. Since viewers are at first all too easily attracted to the mirroring white cube in the middle of the room, this work demands their full attention. This is especially true at dusk when a "crown" of red neon tubes bathes the room in a warm "Evening Red," highly visible both inside and outside the building. "Alpine Glow" is here the theme and in the panorama of the neon crown, the peaks of Monte Rosa are discernable. However, the installation is made up of three further components. The viewer must look up, high above the doors that themselves carry sopraporte. 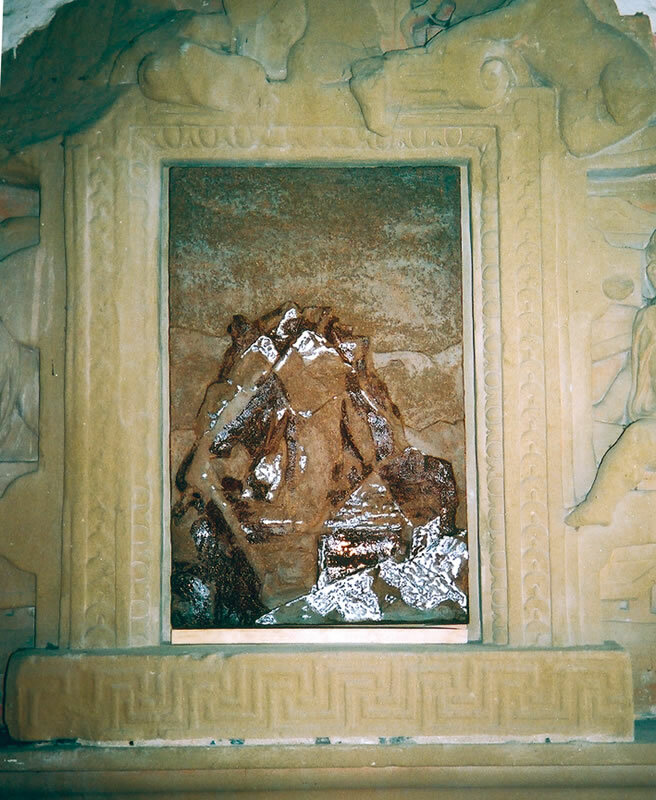 Rather quickly, it becomes clear that what are contained therein cannot be original reliefs: three different mountain views can be made out. 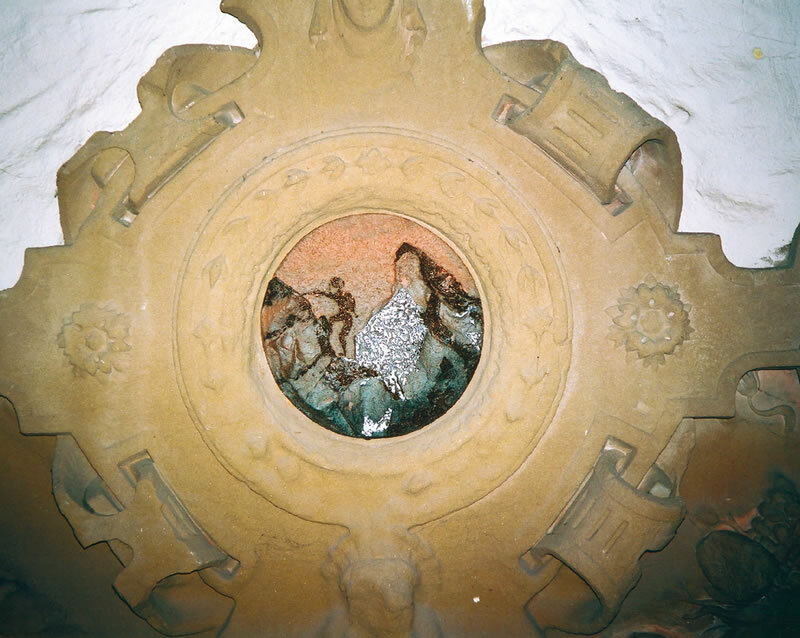 Simon Beer had these terracotta reliefs, each crowning a passageway, specially devised. The viewer discovers one mountan after another until finally conquering the "Giant," i.e. the Dufourspitze with its 4634 meters to, in good conscience, enjoy the panoramic view. 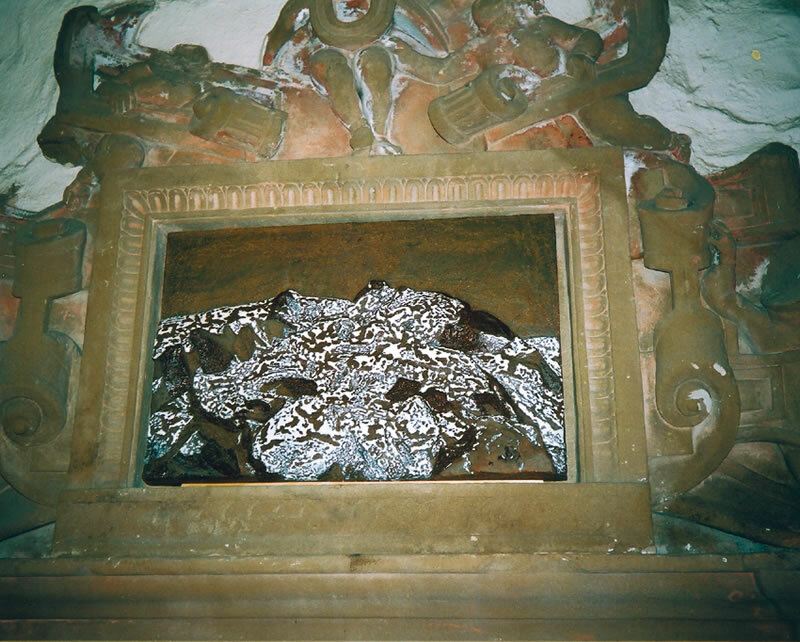 One would like to wish that these reliefs would remain here in place of the unknown older ones that are no longer with us. Locus amoenus also refers to the Renaissance statue David Bearing the Head of Goliath, an original from the building's facade displayed in this room and, in no arbitrary gesture, lit up by spotlight. Here too, the small weak mortal conquering the (mountain) giant is the theme. Terracotta relief, ø 30 cm. Subject from Dear Diary .... Switzerland, copperplate print edition, Museum Abteiberg Mönchengladbach. Terracotta relief, 38 x 52 cm. with a view of the peak of the Dufourspitze. Terracotta relief, 58 x 43 cm. with a view of the Monte Rosa group. 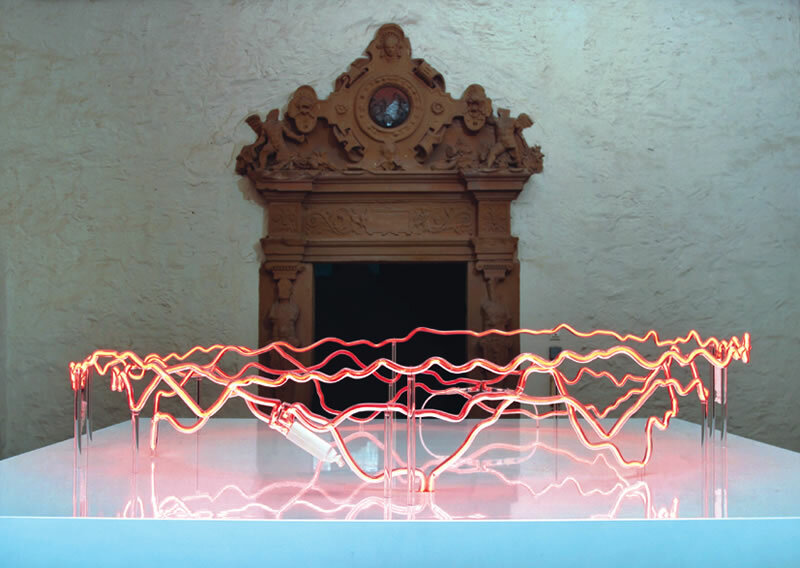 Panorama from the Dufourspitze shown in the detailed neon-installation. White cube, transfer lettering, neon tubes, terracotta reliefs, statue David Bearing the Head of Goliath.